Acrylic, newspaper, tissue on canvas. 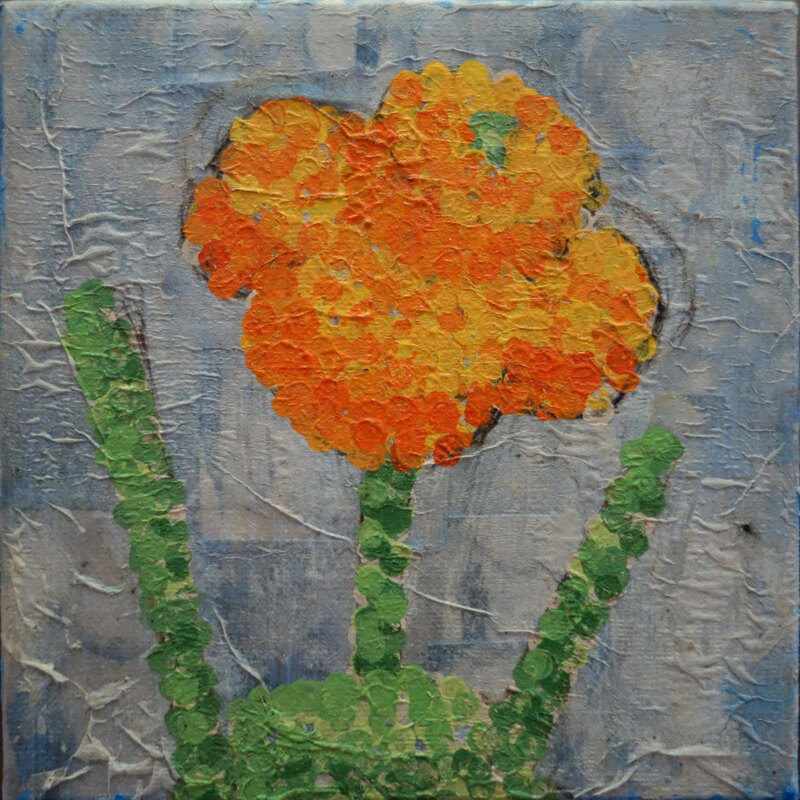 A California Poppy LEGO flower painting. I think it’s illegal to pick a California Poppy so I painted one.